Can my customers write their own reviews? If you want to get some realness, obviously your customers could write the reviews for that product which they have purchased. Absolutely yes, even if you don’t import reviews from AliExpress, your customers can write a real review with the attached image on your web store. 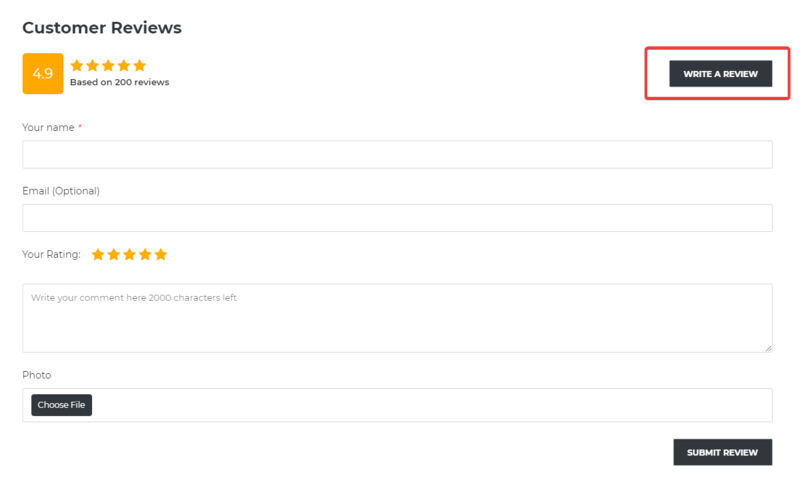 Just simply click on "Write a review" in review section and write some words, then submit review. This review then will be kept in the Pending Reviews section by default & you'll have to manually approve it to be shown on your page. You can change it to auto show by turning off the Auto Publish Review option in General Settings.